Why on earth is economics perceived to come in only one or at best two different a-cultural if not a-moral guises? There are real, and many, alternatives to the economic mainstream. The trouble is, of course, that they are hidden from us. In Integral Economics Ronnie Lessem and Alexander Schieffer pave the way for a sustainable approach to economics, building on the richness of diverse economic approaches from all over the globe. By introducing the most evolved economic perspectives and bringing them into creative dialogue they argue that neither individual enterprises nor wider society will be transformed for the better without a new economic perspective. Here, they introduce a comprehensive framework based on the same 'Four Worlds' model that is applied to enterprise and research in their earlier works. Given the richness of even mainstream economic theory reviewed in this book, let alone the variety of alternative approaches introduced, it is frustrating that policymakers and business practitioners are impoverished by a lack of apparent economic choice - between a seemingly failing capitalism and an already failed communism. The 'villains of the piece' in relation to this lack of choice are not so much the financial community and governments, though they do have much to answer, but the schools of economics and the business schools, that have created the very social ethos, the philosophical principles, and the mathematical models, that influence events. 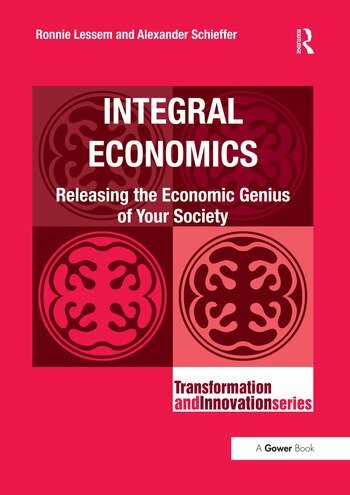 Integral Economics is partly addressed to academics and students in those very schools, who have either realized the error of their ways, or, less dramatically, are curious to explore whether our businesses and communities could be run in a different way. It will be welcomed by informed senior practitioners, eager to understand the current rethink of economic theory and practice and to discover how to position themselves, their organizations, and their society within a new framework.